The Panther Battalion Air Rifle Team won the JROTC Area III Regional Championship on Saturday, 14 March held at Rockledge High School, posting a school record 1,038 points to outmatch the other 9 regional finalists. Daisy Arriola, Team Captain, set a new individual school record of 280 out of 300 points, smashing the old school record of 261. Alex Rediker and Jennifer Arriola both posted personal bests of 259 and 260 respectively. Alex Rediker put the Panthers in the lead during the first relay, outscoring all of his opponents by more than 10 points. The Panthers never relinquished their lead after that. Raul Velasco, shooting in only his third match, sealed the championship with his final effort. 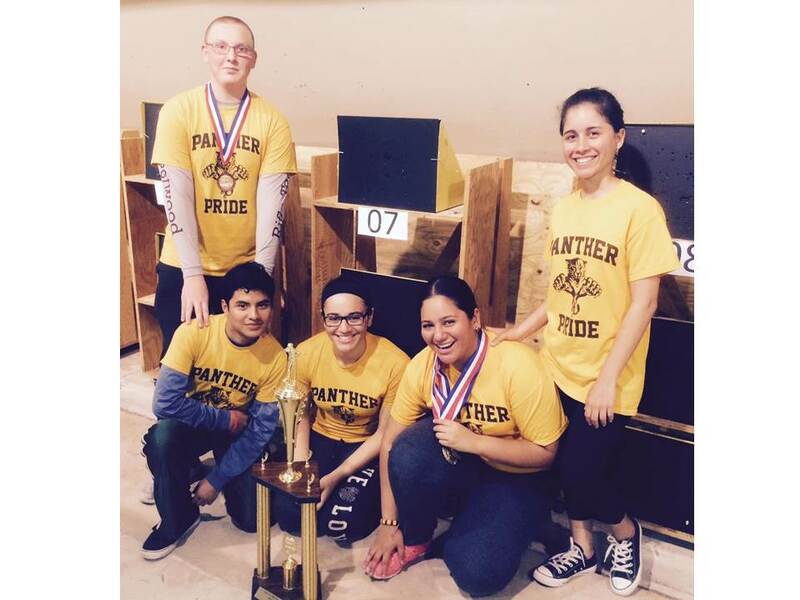 Daisy Arriola was the individual match champion as well as the champion for both the prone and kneeling positions. Alex Rediker also took an individual medal with a 3rd place in the standing position. Jennifer Vargas was the team alternate. The Panthers will move on to the state championship on the 25th of April for the second consecutive year.